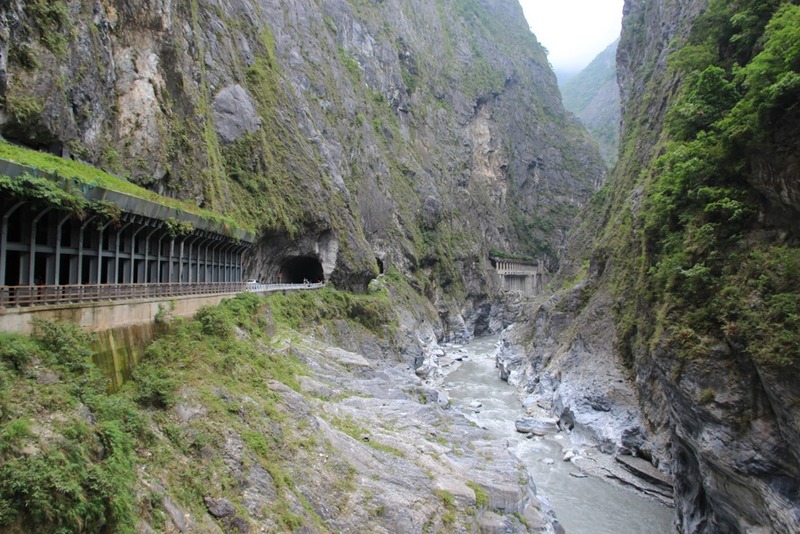 While the Eternal Sunshine Spring was my favorite walk in Taroko Gorge, there was still tons to see in the area. Unfortunately, many of the walks, including the popular Swallow’s Grotto, were closed due to recent rock slides. Still, there was plenty to see. 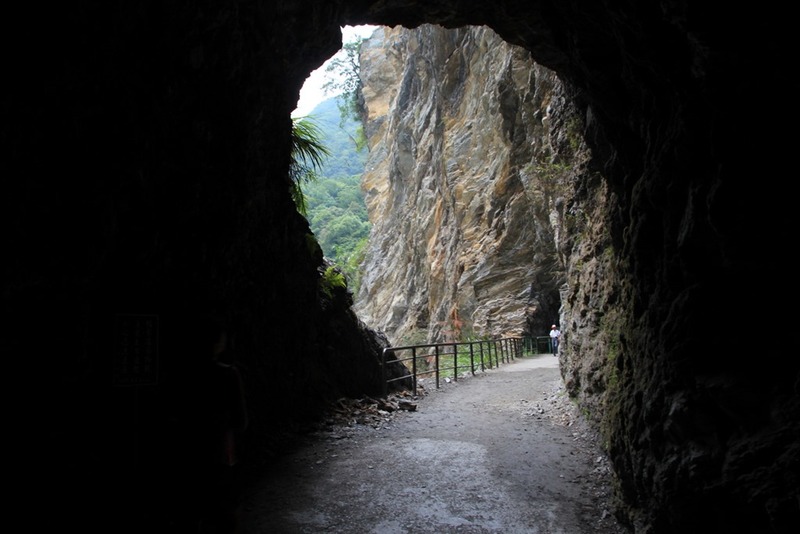 The Baiyang Waterfall Trail was one of the longer trails we hiked in Taroko Gorge, and took roughly an hour and a half to complete. The walk is very easy, and affords you some nice views along the way. 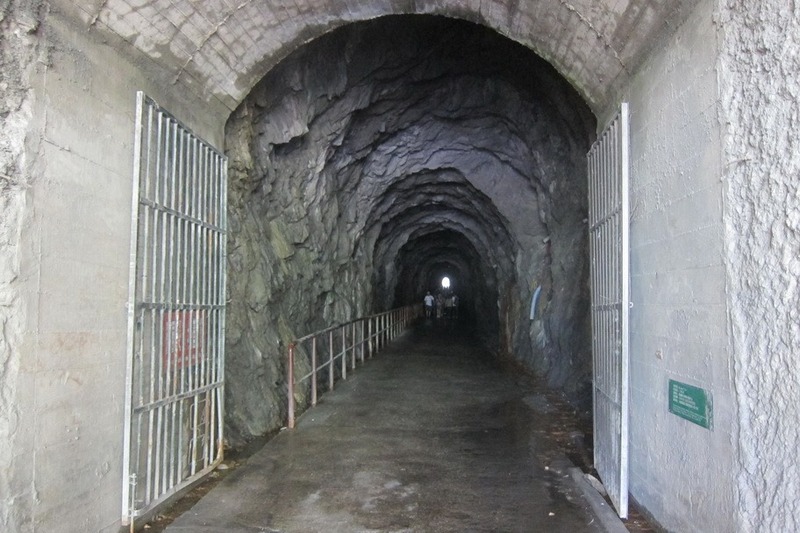 The entrance to the park is located by the road, and starts with a very long walk through a man-made tunnel. 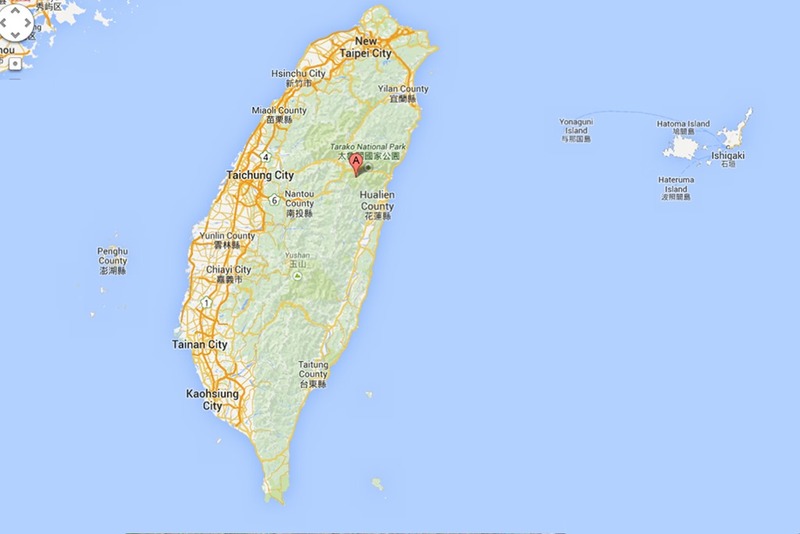 Mrs. Selfish and I departed Green Island, heading North to the Taroko Gorge National Park. 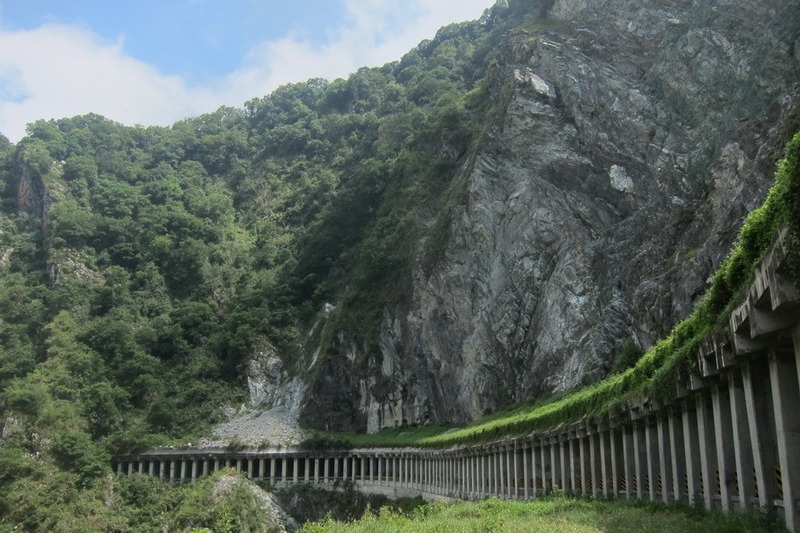 One of Taiwan’s premiere natural tourist attractions, the park is named after it’s magnificently large gorge. 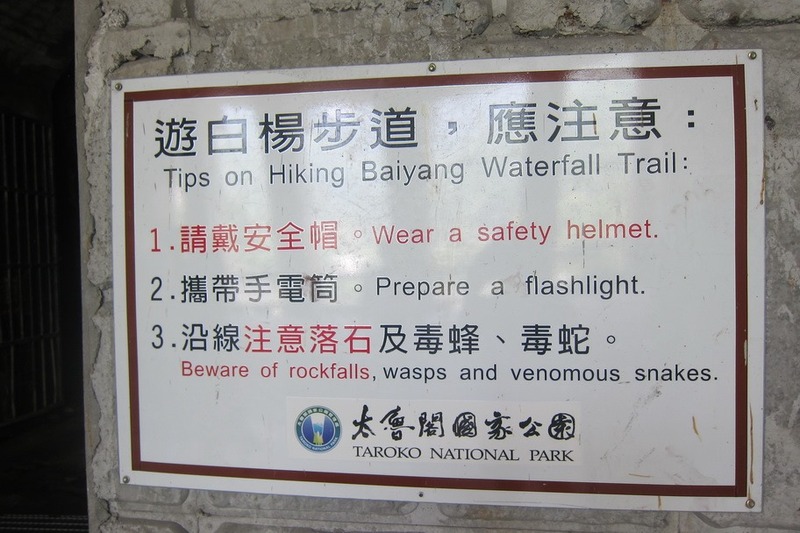 While the gorge itself is quite beautiful, it is also quite dangerous. When we were there several of the trails were closed due to rock slides, which is apparently a fairly common occurrence. Totally worth the (slight) risk, however. Check out the views! I never thought I’d get that “home” feeling back, but now that all of our stuff is here our tiny SF place finally has that good ol’ home feeling. We have a base. As a nomad, it’s certainly a strange feeling – I both miss here when I’m not here, and want to leave when I’m here for too long. But we have traveled! After a year of dedicated traveling we have taken nearly a dozen trips since we’ve acquired said home – at least 4 of which were international. First to the Maldives & Okinawa last November, and then to Istanbul & Tanzania this past February. So now it’s Time for Taiwan and Greece. We went to both countries back in June, and this was perhaps our craziest trip in recent memory. This was the first time we have actually crossed the globe in one trip. It was also the first time I’ve experienced travel fatigue in a long, long time. I attribute the fatigue to two things: 1) the “hominess” I mentioned above and 2) fast, fast, FAST! travel. Lots of legs of travel. Lots of mistakes. We spent 11 of those 23 days were spent traveling which is a lot of room for error. We changed time zones 3 times over the course of this trip which meant the first 4 days after any long haul were a bit of a blur.